Our PreK-3 students are exploring STEM in a new station in their classrooms! 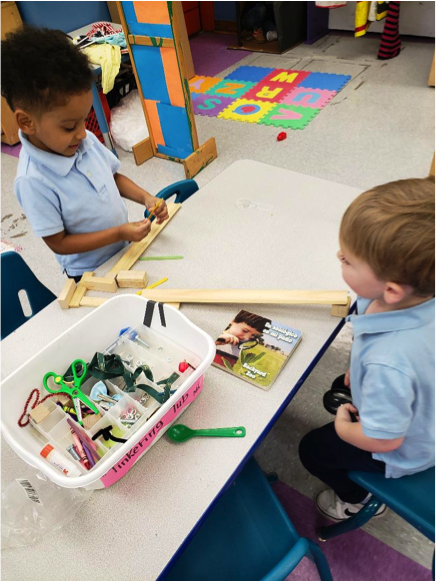 A new learning center has been created in our PreK-3 classroom where students are exploring science, technology, engineering, and math through the use of magnets, robots, and building ramps. Here are some pictures from the classroom!